'Kench & What?' I hear you cry? Kench & Bibesy! So in short, I think you'll agree that Kench & Bibesy pretty much translates into 'eat, drink and be merry'! It also happens to be the name of a rather brilliant new establishment who's creator is behind another one of my favourite London haunts, Evans & Peel Detective Agency. As I now have a Mini Person in tow, nights on the town aren't as plentiful as they used to be at the moment. So I was very happy to try out K&B's wares over lunch the other day. And I can't rave about it enough. During the day it's a bright, informal and relaxing space to enjoy a leisurely lunch whilst watching the world go by through the big windows overlooking Smithfield Market. But I bet by the time night falls, it takes on a whole new vibe as the cocktail shakers, top tunes, Belly Pops (I'll explain later) and enthusiastic banter all vie for attention. And that's just upstairs! Kench & Bibesy has been kitted out in a very unique and creative way - I'd call it 'Old School Industrial Chic'. The Detective in charge has been busy taking time off from his successful SW5 Detective Agency and has literally gone 'old-school' as he's been rummaging around an old school up north and has come back to London armed with all sorts of random bits and pieces including a lovely large piece of parquet flooring which has been made into a beautiful bar. 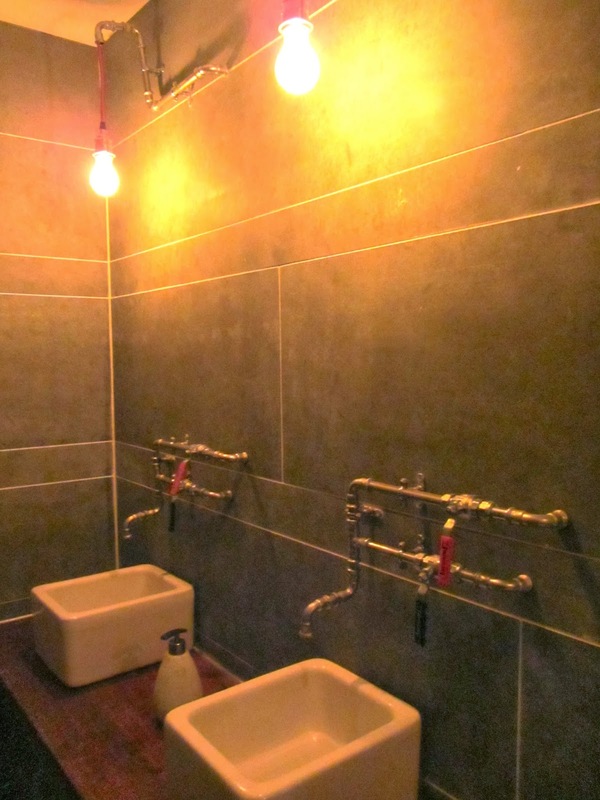 Plus he's recycled some old science lab basins which are now the loo hand-basins (he even made the taps himself). Then there are the little concrete igloo-shaped lampshades which glide along the ceiling (yep, he made those too). And something which I was very impressed with - radiator beer! 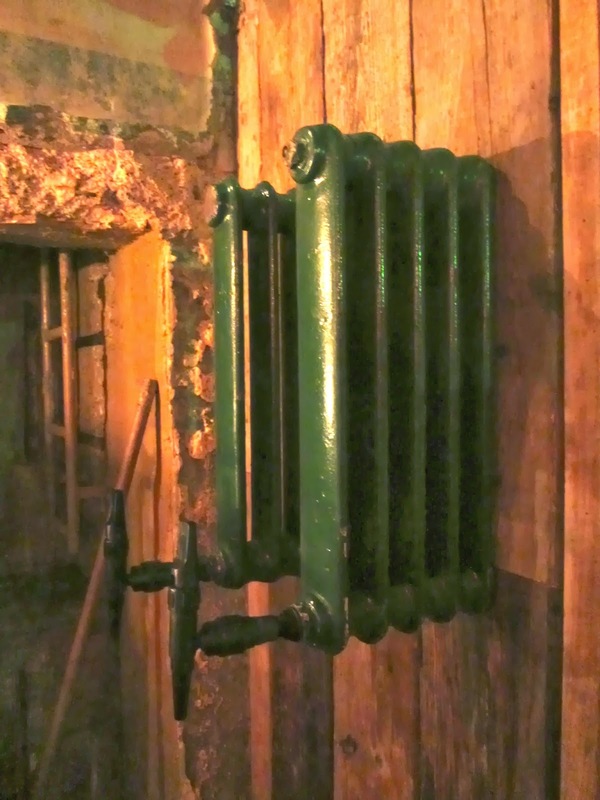 Old fashioned radiators which have been adapted and fitted with a tap as a vessel for beer on tap. Genius! I know you're often told 'don't try this at home', but on this occasion I really would like to try that at home. With wine. It's all the lovely attention to detail which makes this place special. By the time my friend, Elliott (my Baby Blogging Partner in Crime) and I had finished looking around, as well as being given a sneaky peak of the secret Bibesy bar with its 'impossible to find' entrance (very Evans & Peel), it was time for lunch. 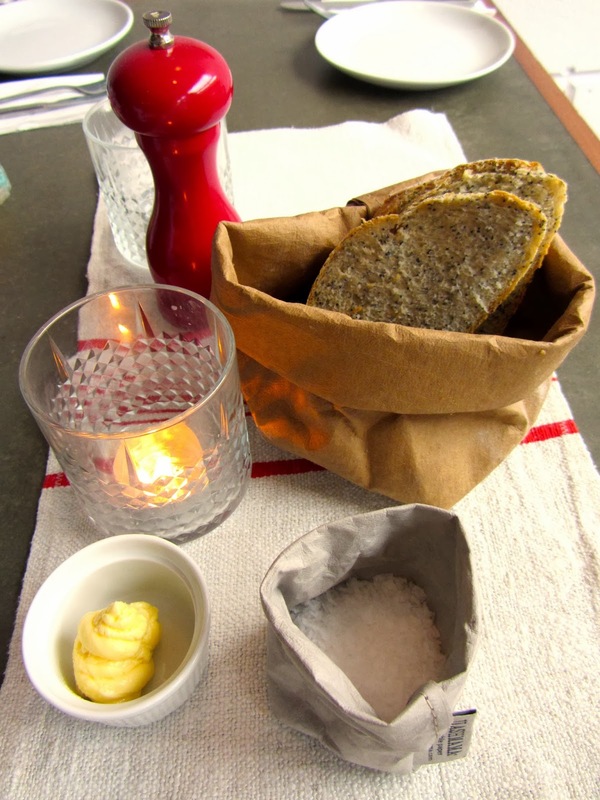 Kench & Bibesy offers an essentially British menu in a sharing plates style and all very reasonably priced. Our plates included truly excellent Scotch eggs, comforting cauliflower cheese, a truffle-infused Jerusalem artichoke pate, tasty butternut squash with gnocchi & crispy sage, and the aforementioned Belly Pops - fun little morsels of braised pork belly lollipops served with pumpkin puree and Bramley apple. We even managed to squeeze in a couple of perfect puds, the sticky toffee (served with custard ice cream and raspberry leather) and a Winter Mess (wintery variation of the Eton Mess). The service was faultless, friendly and fast, and we were given some great cocktail recommendations (one of which came wrapped in a bag of lavender), and the Lapland Collins is a must! As Farringdon turns strangely quiet at weekends, K&B isn't open on Saturday or Sunday (but you can hire it for private parties.) 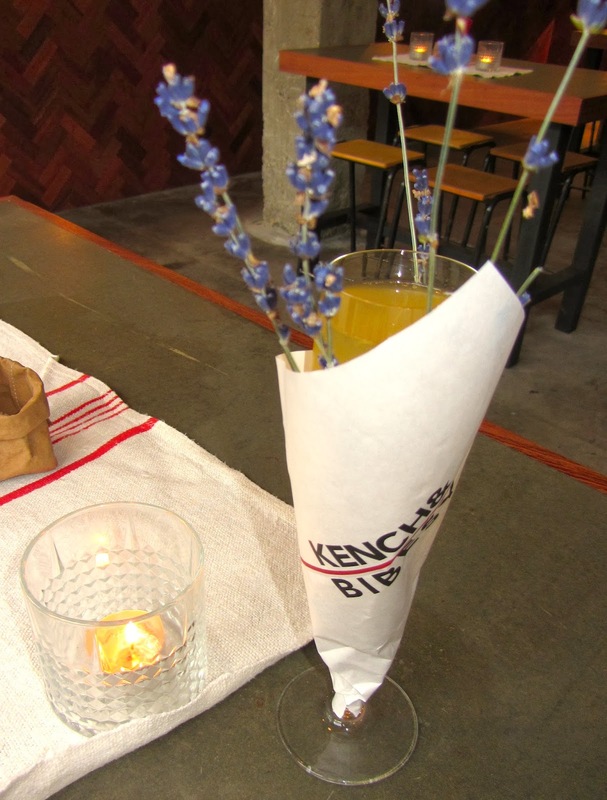 I really like Kench & Bibesy - it's quirky, inviting, unpretentious and affordable. And a perfect weekday/night haunt, especially for anyone who likes a hint of speakeasy with their Belly Pops. I think it's going to take EC1 by storm. In fact I know it is. The resident Super Squirrel told me!